Dependency on cloud storage and increase in demand for email clients, Microsoft keeps on improving their software i.e., more precise and user-friendly. As a result of these developments, Microsoft has released Outlook 2016. Despite having all the features required by an email client, MS Outlook 2016 has one demerit also i.e., deletes emails automatically. Here, in this article, we will discuss the considerable reasons behind Outlook deleting emails automatically with their proper solutions. Before starting, let us consider a user query in order to understand the problem in a much better way. There are many features in Outlook 2016 that allows automatic deletion of emails due to which emails get deleted automatically. So, the below part will give some light on the problems one by one. Some users apply few rules by which email messages get deleted automatically. These rules, sometimes also get applied to the email folders which are not intended to be as the target folder. This may lead to the automatic deletion of emails in Outlook 2016 and 2013. Solution: The solution to stop Outlook deleting emails automatically is that you must check Delete or move to Deleted Items folder rules or can temporarily disable them to check whether this solves the problem. This feature of ignoring Conversation was added first in Outlook 2010 and since then it is a part of different Outlook versions. This option stops the receipt of emails from a certain conversation for which you are the recipient. Solution: If the user wants to stop this automatic deleting of emails in Outlook, the user needs to click on the message present in Deleted Item folder and then click Ignore option. This will transfer the emails automatically to the inbox. This move conversation feature is much like Ignore Conversation feature. By using this option, the emails move to a specific folder despite going to the Deleted folder, without deleting them. However, the cause of impact would be the same. Solution: To remove the effect of this feature, right-click on any message and choose Disable Always Move Conversation option. Sometimes, anti-virus plays as the main culprit in this problem. Every anti-virus software contains an on-access scanner which runs in the background and performs a continues to scan to detect possible threats. Moreover, some anti-virus software comes with an option to integrate with Outlook in the form of Add-ons. The software sometimes leads to false reporting of some emails being malicious. Because these emails are listed as malicious, they automatically get deleted and then sent to a deleted folder. This can happen with any Outlook 2016, 2013, 2010 and 2007 version. Solution: To disable scanning of the incoming emails by anti-virus software, turn off its integration with MS Outlook either from the Add-on or from within the anti-virus software. There are high chances of a person operating Outlook on synchronized devices like their smartphones or tablets rather than just using them on laptops and computers. The problem is that emails are getting deleted automatically from Outlook 2016 because they are deleted from some other devices synchronized with same Outlook account. Solution: This problem is concerned with IMAP and POP3 protocols which are used to regulate the sending and receiving of emails. If the user is using IMAP on one device and POP3 on other devices then a user must enable “Leave a copy on the server” option under POP3. Quick Advice: The above solutions are the preventions to stop Outlook from deleting Emails from the inbox. But if you have already lost the emails then you can take help of an automated solution. 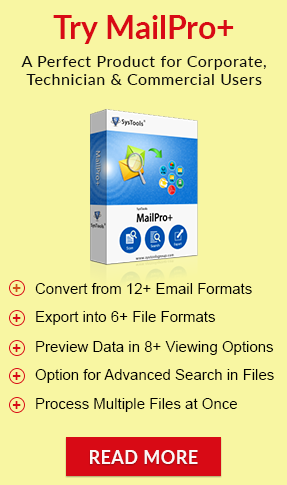 It allows users to recover deleted emails from Outlook without any errors. In this article, we have discussed what are the problems because of which Outlook deleting emails automatically. Along with these problems, some solutions are given that help the user in preventing the Outlook from deleting emails from inbox automatically. The solutions are elaborately illustrated so that the user can easily understand and apply them.